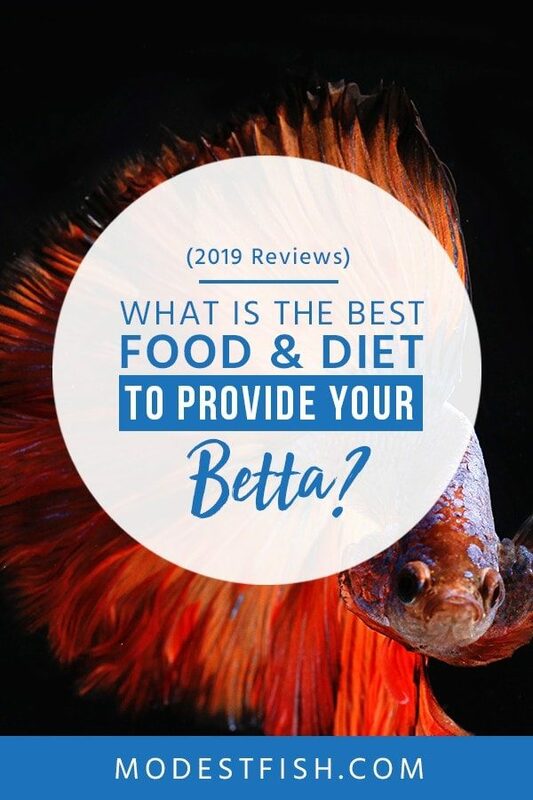 Getting the best food for your betta and providing it with a healthy diet doesn’t need to be hard. 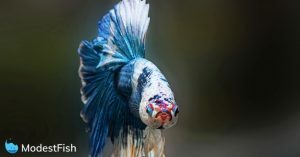 In this article, I’m going to teach you my simple process for choosing betta fish food, so at the end, you’ll be a betta food connoisseur. 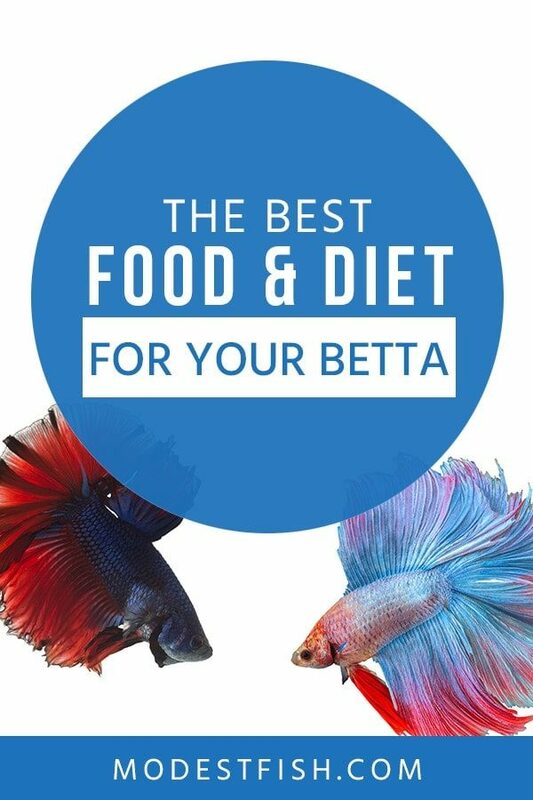 What type of diet a betta needs. How to select betta fish food based on quality ingredients. The different types of food available and recommended products. How to make your own betta food. How to feed your betta to avoid overfeeding. 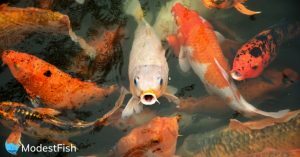 Part 1: What foods do betta fish eat? Even though they contain some fillers, Tetra Pro flakes offer a lot of nutrition compared to other flake foods. 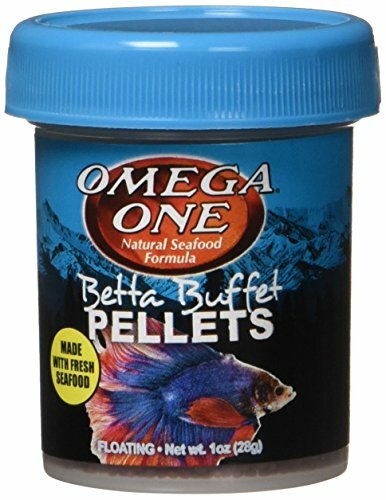 Made from fresh seafood, this is one of the best betta food products available today. Containing 37% crude protein and being low on fillers, New Life Spectrums fits all the requirements for a healthy meal. Super high-quality, this 100% Freeze Dried Bloodworms contains no fillers. What Foods do Betta Fish Eat? In the wild, betta fish are native to the waters of Vietnam, Malaysia, Thailand, and Cambodia, and are most commonly found in the river basins of the Mekong and Chao Phraya. Bettas are naturally carnivorous breeds. Their diet mainly consists of insects, insect larvae and some (if any) plant material. Plants aren’t a primary component of their diets, though they can and will eat small amounts of greens when they’re extra hungry. Bettas tend to eat smaller, meaty animals that have high protein contents (such as bloodworms, daphnia, mosquito larvae, brine shrimp and smaller fish species). You’ll often see bettas feeding on insects that have fallen into the water. 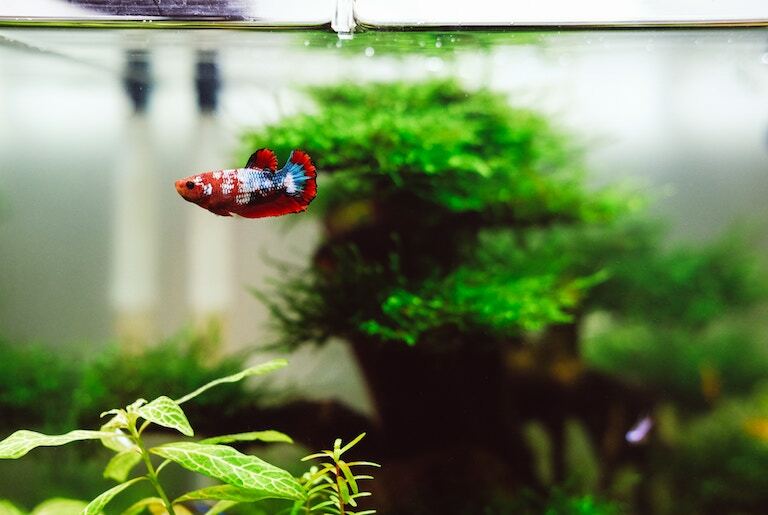 While it’s super important that bettas consume enough protein, it’s also vital that they consume some fibre to avoid constipation- which is a common killer of house-kept bettas (pretty horrific way to go, huh?). A varied, balanced diet containing ample amounts of protein-rich and fibrous foods is the key to keeping a healthy, long-living betta fish. Betta fish are mainly insectivores, meaning they primarily feed on insects and larvae, so their natural diet contains high amounts of protein. If a particular fish food has a plant-based item at the top of its ingredient list, its protein contents are likely to be low or solely plant-derived and probably isn’t a very high-quality protein source. 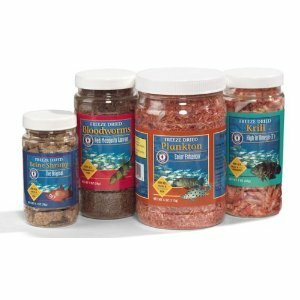 Select a feed that contains protein-rich ingredients like fish, krill, and shrimp. It’s better to choose a food that specifies which species the protein comes from: whole krill rather than fish meal, as this is often a generic blend of foods and you won’t know exactly what you’re feeding your betta. Lastly, be sure to look at the crude protein percentage of the food – the specified protein content. For bettas, aim to choose a food supply that contains around 30-40% or more of crude protein. Fillers are nasty little buggers, and you’re going to want to avoid them as much as possible. We’ve just talked about how important it is for bettas to consume high-protein foods, right? Well, it might come as a surprise for you to learn that many manufacturers purposely add crappy fillers from plant materials to their products. This is because plants are far cheaper than animal-based ingredients like shrimp and worms, so companies stuff in plant foods as fillers to keep their costs down. This practice makes it pretty difficult for hobbyists to find high-quality foods for their bettas. Foods high in specified animal proteins are often low on fillers, too. If the first three or four ingredients of a selected product are plants like soy, seaweed and rice, you’re probably best forgetting it. In addition to this, you should avoid products with lots of long, unidentifiable ingredients added like butylated hydroxyanisole (BHA) and butylated hydroxytoluene (BHT) as these, too, are often disguised fillers that can be harmful to bettas. The thing is, no matter how mindful you are about your fish’s food, most products will contain at least some plant foods. The aim isn’t to be 100% perfect and avoid these entirely, but to minimize them as much as possible. I don’t want to scare you off of betta foods containing plant-based food. Even the highest-quality betta good will contain some plant-base, because some is needed to obtain the right consistency. Now you know what to look out for when choosing your betta food, let’s discuss the different types available. Betta flakes are a staple among aquatic hobbyists, mainly because they’re so simple to use. When feeding with flakes, it’s vital that the flakes you use are made specifically for betta fish to ensure that they contain a high protein content. That’s pretty much the long and short of it! The only downside to using flakes is that it’s difficult to control how much food your bettas are eating; quantities aren’t as easy to measure with flakes as they are with pellets or live food, for example. Flakes also have a tendency to sink quickly to the bottom of aquariums, making them difficult to clean. Sometimes, when flakes float at the surface of the water, bettas mistake it for debris and avoid eating them. While quick and easy, betta fish flakes may not be your primary choice because of this. Pellets are another popular option that sidestep some of the issues that come with flakes. Though they float on top of the water, their spherical shape makes them look more like insects and larvae, so your betta fish is more likely to eat it. You should ensure that the pellets you select have a high (animal derived) protein content containing a crude protein percentage of at least 30%. Good pellets will contain dried meats like shrimp, krill or fish. 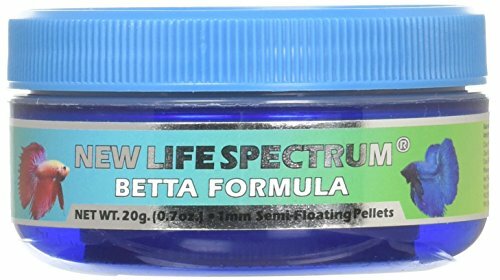 Sinking/semi-floating pellets can also be used as staples in your betta’s diet. Sinking pellets serve as a nutritional food source, but in the wild, bettas tend to favor food that floats on top of the water, as opposed to anything that sinks. While sinking pellets don’t cater to the natural instincts of bettas, some actually prefer sinking pellets. The safest option is to try both and use whichever option your betta likes the best. The minimum protein content of your feed should be 30%. You can use freeze dried animal-based foods like shrimp, krill and daphnia to replace meals once or twice a week but should not be used as a staple food due to their low nutritional content. 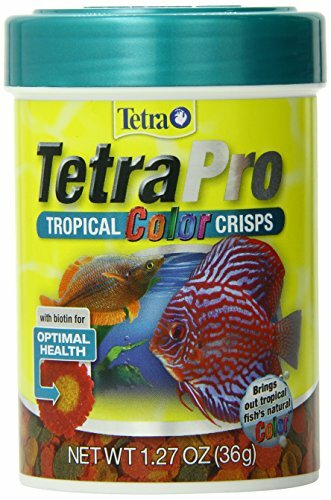 Think of them as a treat for your betta. You can also keep portions of animal foods frozen until required. You should, however, ensure that food is fully thawed out before- and it shouldn’t be refrozen after. Live foods often get a bad reputation amongst hobbyist communities as they can sometimes carry harmful parasites. Although store-bought live foods come with this risky possibility, it’s actually quite easy to culture live insects and fish at home, allowing you to feed your bettas without having to worry about making them ill.
Live foods are a great food source as they stimulate natural feeding behaviour. Your fish will be able to hunt live, full-sized animals, just like they would do in the wild, boosting their wellbeing whilst providing them with some extra nourishment. You shouldn’t use live feed as a staple due to its high-fat content, but occasionally it still serves as a nutritious and fun food source for your bettas. Though bettas feed almost exclusively on animals (and not plants), blanched peas can be used to alleviate mild constipation by providing large amounts of fiber. 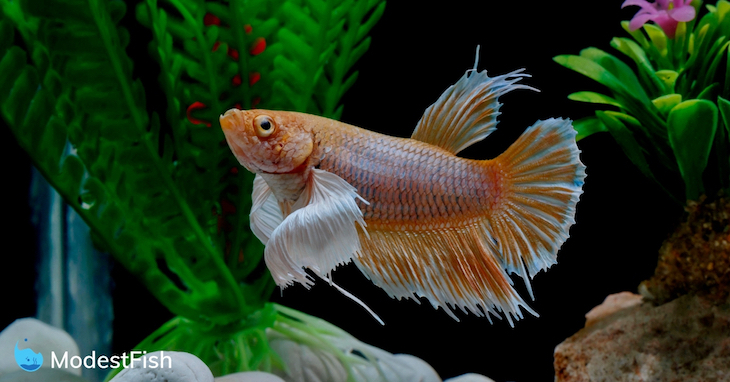 A constipated betta can be diagnosed if little/no excrement has been seen in its tank for an extended period of time. 1. Take a single pea and blanch it by dropping it into boiling water to soften it. 2. Leave it there for thirty seconds to a minute and then cool it by dropping it into iced water. 3. Peel the skin and feed a small portion of the pea to your betta. Peas can be used as a quick remedy for constipation or bloating, or as a dietary supplement once per week to provide fiber. If you’re looking to add variety to your betta’s diet without taking as big a risk of exposing them to harmful parasites, you can try to make your own foods at home. Originally created to feed fussy goldfish that reject commercial fish foods, gel food can serve as a tasty and nutritious addition to your betta’s diet. Recently, many aquatic hobbyists have begun to use gel food as a homemade food source for a variety of species – particularly bettas. Traditionally, gel food is made by blending together all of the ingredients your fish eats and binding the puree together with gelatin or agar. 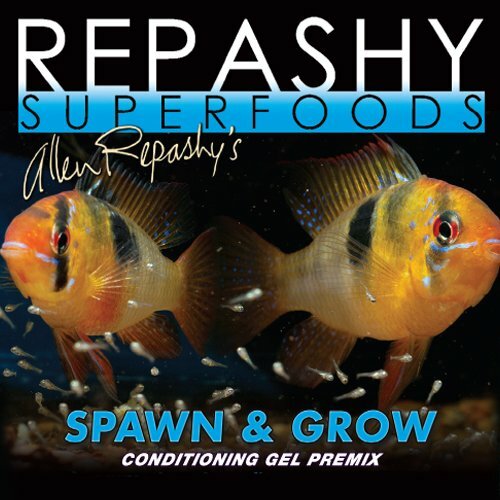 Repashy offers premixed gel food which can be combined with boiling water to form a gel. Gels can then be frozen and stored as a backup food supply. 2. Mix 1 part Repashy gel mix with 2-3 parts boiling water thoroughly. 3. Pour solution into a mold tray. 4. These gel mixtures can either be cut into smaller pieces and fed directly or frozen for future use. 5. Frozen gels should be fully thawed before feeding by adding each one to warm water. Bloodworms, although their name suggests otherwise, are not actual worms but rather the larvae of midge flies. In the wild, bloodworms breed in damp conditions with stagnant water- like puddles, ponds and pools. These conditions can be replicated at home. 1. Fill up a bucket with dechlorinated/natural water and add dead leaves or soil. 2. Leave the bucket in a shaded area outdoors and, after 2-3 weeks, midge flies should begin to lay eggs there that’ll eventually hatch into bloodworms. 3. Once these reach around 2 cm in length and appear bright red in color, you can pick them out by hand or net them and feed them to your bettas. Brine shrimp are small saltwater crustaceans that lay dormant eggs that you can store for long periods of time. Firstly, find a container to grow your shrimp in – a plastic container/aquarium into which you can add water and keep it aerated. (Water can be aerated using an air stone or air pumps.) Then, add dechlorinated water. For every 40 ml of water, add 1.25 grams of aquarium salt. Then, add your aerator and leave for 12 hours before adding brine shrimp eggs. To make things simple, you can buy a brine shrimp hatching kit and follow the instructions included carefully. 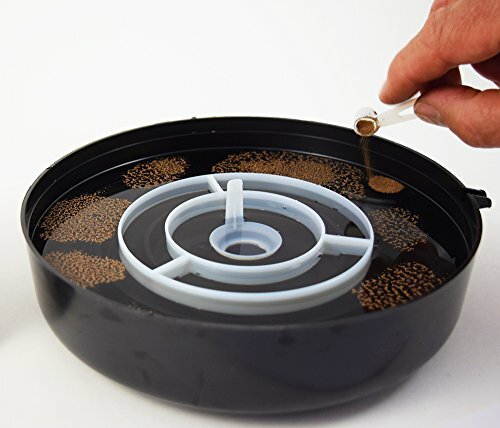 Easy-to-use: Simply fill it up with salt water to the water line inside the bottom bowl, place the white plastic ring and the small sifter inside, add Brine Shrimp eggs into the water in the outer area, put the lid on and leave it alone. Daphnia are tiny planktonic crustaceans that live in ponds, filter feeding on algae and other organic matter. 1. Fill a container or bucket with dechlorinated/rain water and leave it to stand for two days before adding daphnia eggs. 2. Within two weeks your daphnia eggs will begin to hatch and appear like small grains of salt moving around in the water. Algae will also grow in your container and feed the daphnia. 3. Catch hatched daphnia with a net, being sure to leave some remaining for future reproduction, and feed them to your betta fish. If you don’t have the time to set up brine shrimp or daphnia colonies, wingless fruit flies are an easier option that serve as a nutritious and varied food source for betta fish. 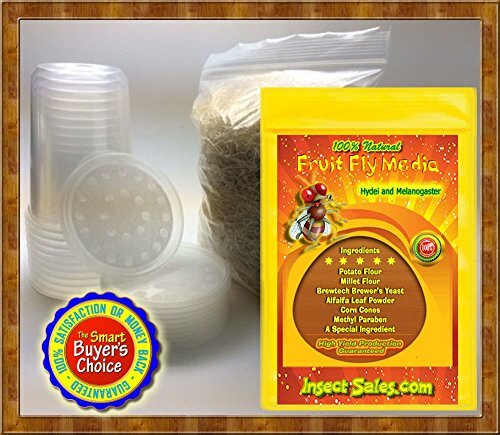 Simply purchase a wingless fruit fly colony (they’re often sold in cups) after a few days your flies will reproduce. Providing you with a long-lasting food supply. Easy-to-use, you can create up to 10 cultures with this kit. Following reproduction, mosquitos lay eggs on top of water surfaces; these are known as mosquito larvae. Over time, these hatch and begin to grow under water. First, these eggs are laid in a cluster that floats on top of water before mosquito larvae begin to emerge – small, writhing hatchlings that eventually burst out of their egg sacs and fly away as adults. The egg to larvae phase of growth usually takes place over 5-15 days. It’s during these underwater stages that fish tend to feed on mosquito larvae. Select shaded, outdoor location for your mosquito larvae to grow. Ensure that your location receives little to no sunlight – like a spot underneath dense trees or a shaded area of your garden. Decide a container in which to grow your larvae, like a bucket, and add dechlorinated water. Mosquito larvae are adapted to grow in murkier, unclean waters that contain algae. To achieve this, you can leave your water out in warmer months over around two weeks, allowing algae to grow naturally. If you don’t have the time for that, you can add grass clippings in a filter media bag to encourage algae growth. After around 48 hours your mosquito larvae will begin to hatch. At this point, when your larvae look like small brown eggs, they’re ready to be netted out and fed to your bettas. Many hobbyists will tell you that you should feed your bettas as much as they can eat in X minutes. I’m not totally sold on that idea, though. While it’s wise to ensure your bettas are eating enough food, this practice often results in overfeeding which can bring serious harm to your fish. Instead, you should stick to feeding your fish 2-6 pellets, worms or other pieces of food per day. While this may seem large or ambiguous, it’s important that you provide your pets with variety and so you should try to mix up your fish’s eating habits. Try to feed them a range of live foods as well as pellets. How Often Should I Feed my Betta? It can be tempting to add your fish’s daily feed to its habitat all at once for convenience, but betta fish are actually better adapted to consume multiple smaller portions throughout the day. You should try to divide those 2-6 daily portions across two intervals with a few hours in between each feed to ensure maximum growth and reproductive performance. However, I highly suggest you come up with your own schedule as not all bettas will have the same appetite. I recommend you take it slow, and feed your betta small amounts and see how it goes from there. Overfeeding betta fish can lead to a number of complications. Bloating and constipation are the most common symptoms of overfeeding, both of which can lead to illness and death. Betta fish are particularly sensitive to overfeeding compared with other species. The problems associated with overfeeding can be controlled by following the above practices rigidly, not giving into the temptation to feed your fish more than it needs. Some studies also show that fasting your bettas once per week can help to avoid these problems. This will not cause them any harm and will actually help to clear their digestive tract, minimizing constipation risk; simply refrain from feeding them over a 24 hour period on a weekly basis. How Long Can my Betta Go Without Food? Betta fish are able to survive up to two weeks without any food before dying from malnourishment. In the wild, fish often have to survive extended periods of time on little to no food and are well adapted to make it through these periods. Keep it protein based, avoid fillars, and be wary of overfeeding.